School incidents, from shootings to bullying to drugs and other negative behaviors, occur at uncomfortably high rates. For many students and faculty, anxiety can be overwhelming. 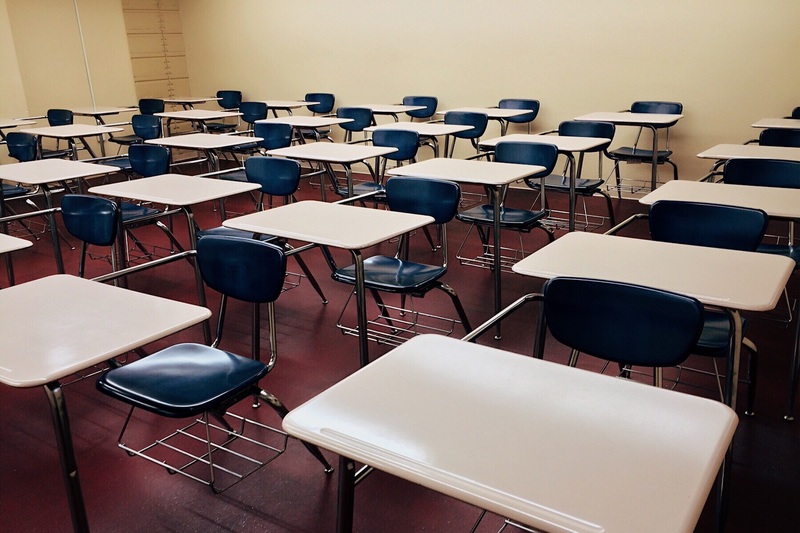 The U.S. Center for Disease Control released the results of a 2016 survey that revealed six percent of students missed one day of school in the month leading up to the survey because they felt unsafe at school. Eight percent of students had been in a physical fight on school property in the month prior to the survey. Because students learn better when they can stay focused on their studies and because teachers perform better when they are not faced with disruptions from real or rehearsed threats, bolstering school security is a must. At Isotec Security, we assist in promoting student and faculty safety by offering security solutions and safety procedures in schools that improve security. Here are a few tools and routines that have proven effective. Controlled access to buildings before, after, and during school hours helps ensure that bad actors do not have a way to enter campus. An open door anywhere can be an invitation to an outsider, but it can also indicate a plan for a rapid exit. Students are known to prop doors open with chairs or other items. To prevent this kind of tampering, mantrap systems and security doors for schools are put in place. Isotec Security’s mantrap systems and security doors are also used by government agencies to protect government officials, technology and data. These same turn-key systems are used by commercial entities to protect employees and manufacturing sites. When placed in a school setting, these bullet-proof glass vestibules enclose human threats, disabling them from entering a building. Though the vestibules are aesthetically appealing, they are tough spaces that keep potential threats at bay until police or other security arrive. Metal detectors need not be imposing features at the entranceways of buildings. Isotec’s interlocking entrance designs can sense when an individual attempting to enter is carrying a weapon. Once sensed, the doors will automatically lock. This kind of refined access control helps to keep a school setting feel like a school setting and not like an airport or a prison. In some instances, random metal detector checks can also be used to ensure that students, faculty or staff are following safety guidelines. Using the right hardware for an area is one way to help protect students and others from intruders. But in some instances, such as open campus environments and special events, crowd control and other factors might also be considered when putting safety procedures into place. Requiring students to wear picture IDs is one way to maintain control of who enters and exits an open area. Dress codes are another way to visually spot someone who is out of place. For campuses with young children, requiring adult faculty and staff to wear ID tags will help other staff identify who is authorized on the property and who is not. When providing security, it is important to consider all senses. While physical barriers can act as a deterrent during a chaotic event, security camera technology can allow school security personnel to better understand behavioral patterns and recognize when something or someone is out of place long before an event occurs. Eyes and cameras are not always the best tools for sensing a threat. Random dog sniffs for drugs can alert officials to items that cannot be seen with a camera or the human eye. Dogs can also be triggered by items that go unnoticed by a metal detector. Isotec Security has experience safeguarding federal, municipal and commercial locations. Banks, courthouses, airports, labs and other highly sensitive areas make use of Isotec’s Safety Entrances. These specialized entrances have earned a Certificate of Designation from the U.S. Department of Homeland Security. It is considered a Qualified Anti-Terrorism Technology. For those on a college campus, in an elementary school classroom or on a high school football field, Isotec’s highly reputable security systems will deter bad actors and foster an environment of learning and play. Call Isotec today for more information on our high-end, trusted security door systems. This entry was posted in Access Control, Isotec Security, Safety Entrance, Security Monitoring. Bookmark the permalink.